We won! Closure of Sheffield services shelved. 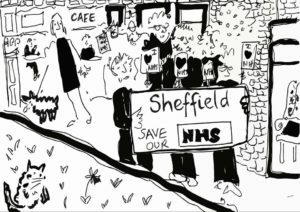 The future of Sheffield’s NHS walk-in centre and minor injuries unit has been secured for two years after health bosses agreed to reconsider proposals to close them. 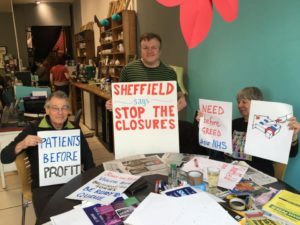 After tireless campaigning from Sheffield Save Our NHS (SSON), a major victory for local health campaigning has been won in Sheffield, over plansthere to close the Minor Injuries Unit and city centre walk-in centre and open an Urgent Treatment Centre on the outskirts of town at the Northern General Hospital. The consultation process was badly handled from the outset, with limited options for adults and no detail of plans to improve GP appointments systems. After pressure from SSON and other local groups the consultation was extended. SSON ran street stalls and collected thousands of signatures and submitted a formal response to the consultation, though these were not published in CCG reports. You can read their full formal response here. Petitions with about 10,000 signatures were handed in at the end of consultation meeting in January. In June a public reference group meeting was held to hear more from the public. In August the City Council Scrutiny Committee working group reported and yesterday the Primary Care Commissioning Committee voted to extend current arrangements till 31 March 2021 while they think again about how to address public concerns. 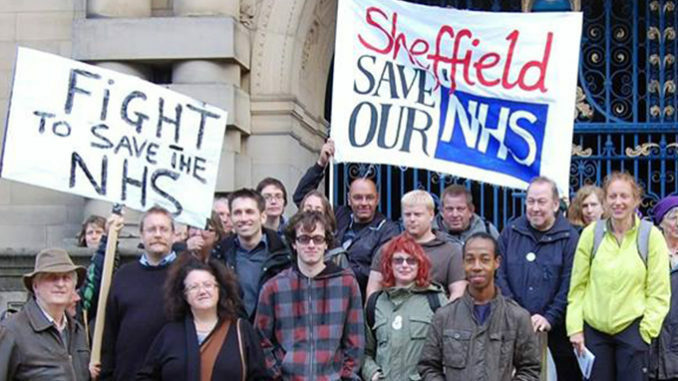 We welcome today’s decision and would like to thank all our supporters, the Sheffield community, and everyone who has signed the petitions and attended our events. 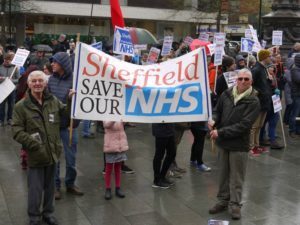 “It was the extent of the popular opposition which has forced this rethink as well as the formal comments from significant bodies in Sheffield, including Sheffield Council’s health scrutiny committee which took public concerns on board and recommended that proposals be sent back to the drawing board. It’s a great example of how our campaigning at a local level can really pay off. Tied with the national campaigns to highlight the restructuring, privatisation and funding cuts plans the NHS campaigns are holding the line against the destruction of our National Health Service. 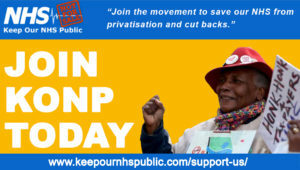 Why not join Keep Our NHS Public and get involved with the fight back?